It’s not yet time to bring out the winter wardrobe, and we’re still hanging on to the last remnants of summer, but some things are worth planning and looking forward to – and Christmas is one of them. As an employer it can be the perfect time to show your team how much you value their work and commitment whilst also motivating them for the year ahead. According to Action Coach the principal motivator for employee performance is recognition of a job well done. This involves a certain amount of time and effort, however as Mind Tools points out – it is worth it; ‘If you think you don’t have time or can’t afford to show appreciation to your team, then stop and think about how much you currently invest in hiring and training new people. How much would you save if your turnover were lower?’ Research shows that workers who feel appreciated are twice as likely to stay with a company than those who don’t, so it is definitely worth doing what you can to hang on to your team members. How do you make your staff feel appreciated? Bonuses used to be the obvious option – but nowadays they’re proving increasingly costly. Psychology Today writes that in order to have a significant impact on motivation, and to allow employees to really feel like they receive reward and recognition, the bonus would need to be close to 7% of the salary. That’s a big expense! A more cost-effective alternative to get that feel-good factor could be a Christmas party. If you’re not part of a huge team and don’t have the time or budget to organise your own bespoke party, then why not consider a shared packaged one? 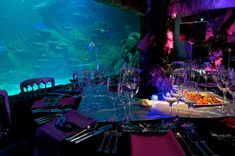 That way you hand all the hassle over to the experts but can still benefit from the atmosphere of a larger event, bond with and reward your staff and do something special. 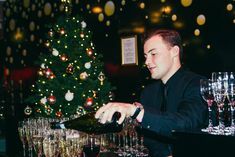 Our London Dungeons or Shrek themed shared Christmas parties include a three course menu at the Riverside Rooms followed by an exclusive VIP tour of either location before partying the night away. Just because you and your team are part of a small select crowd doesn’t mean you don’t get to join in the fun!